You are at:Home»Science in Cracow»Dear Readers! 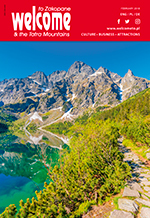 The editorial staff of the monthly magazine ‘Welcome to Kraków & Małopolska’ have been following the scientific and academic developments in Kraków since 1996, even devoting special editions to these subjects. Therefore, we have a clear understanding of the changes which the local universities and research institutes have undergone over these years. The most conspicuous outward sign is the vast improvement in the actual buildings in which Kraków’s scientists work. Indeed, billions of zlotys have been invested. Whereas, in the past, researchers had to travel to foreign centres to gain access to the most modern equipment, today there is no need as this equipment can frequently be found within in the city. But, the most important change comes from a change in attitudes. Now programmes of study are often adjusted to the needs of the economy and Kraków’s scientists continue to achieve ever greater, at times even spectacular, success in obtaining European grants. 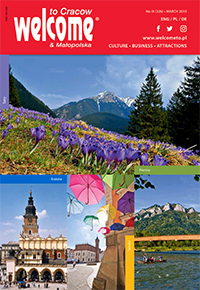 As a result, global companies looking for top-class professionals open centres in Kraków. Without doubt science, and academia in a more general snese, have regained their place as the most important cog in the development of the city. We are pleased, therefore, to highlight this in our latest edition.